Your 8 Heart's Desire (also called Soul Urge) - You want success in its fullest meaning. You want wealth, power, and material comforts. You have an enormous ambition. You dream of big projects, great undertakings, and rewards. You are a visionary. You see the horizon and the promise. In general, you also see the methods necessary to fulfill that promise. But you are not especially good with details; you need others to help you deal with the smaller parts of the picture. Your challenge is to make full use of the full spectrum of your abilities, as indicated by your other core numbers. In the same way, you must bring forth the best from others and orchestrate their talents toward the realization of your vision. In short, you must lead by example, demonstrating the standard for commitment, determination, and excellence. All of this requires effort on your part. You will meet with obstacles and difficulties. Your determination and commitment will be tested. But you have the power to overcome every obstacle you face and accomplish the goal you've set for yourself. Your task in life is to learn to use power in refined and elevated ways. The expression and use of power is directly related to one's personal evolution. The more primitive uses of power rest with violence and the threat of deprivation. The higher expressions depend upon your capacity to care for and nourish the people and projects in your charge, giving each exactly what is needed at the appropriate time and in appropriate amounts. You have a creative mind and an unusual approach to business and problem-solving. You need to cultivate your ability to evaluate others. It is essential for you to be involved in a project that challenges you and offers the potential for rewards. When you are uninvolved or unoccupied with a worthwhile task, you can become deeply despondent, depressed, and frustrated. You are the perfect example of the old cliché, "Idle hands are the devils workshop." Without a challenge, you can lose balance in life and become selfish, cruel, and even self-destructive. Disappointments become shattering, causing terrible consequences in self-image and self-love. Perspective is everything for you. You have a natural talent for balancing the spiritual and material planes. You need to cultivate courage and stamina. Courage is a choice. You need to decide to be brave in the face of fear. 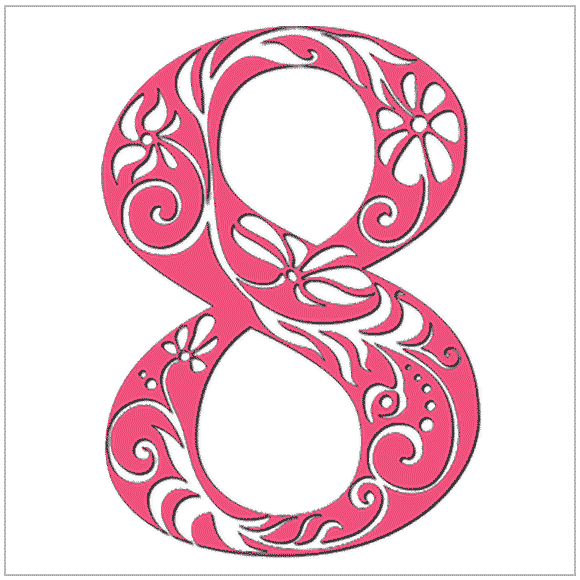 A balanced 8 is among the most powerful and satisfying of numbers. It is the spirit of the true survivor, able to bounce back and achieve a greater victory. I downloaded the free version of your numerology software. I must say, its absolutely amazing, both in functionality and ease of use.